Post subject: It's Jets week! Where are you all at this week? It's Jets week!! BTW, I tried going into the Patriots/Jets game not pulling for either team, but after a few plays I knew that I wanted the Patsies to win. That's how much I hate the Jets (and love our rivalry). 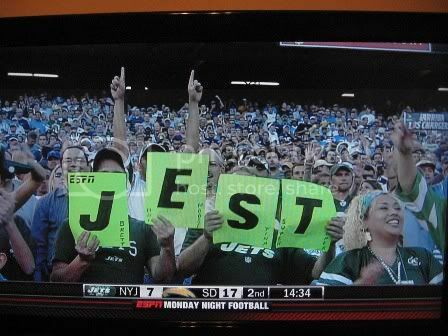 Post subject: Re: It's Jets week! I have to say I will be thoroughly disappointed if Miami doesnt pull out a big W this week. This coaching staff seems to be really on the ball. The young players are improving. Hopefully we have enough talent to execute the game plan. Already nervous like I am about to play in this game!!! I felt ya dude. I couldn't eat lunch till half time. When is the last time we beat the jets that well?